Chinese gamblers starting to return to Australian shores, numbers show. 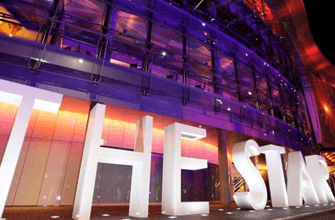 According to numbers released by the Australian gambling entity, The Star Entertainment Group, foreign high roller players are making their way back to Australian casinos in droves. VIP players, especially from China, gambled in record numbers at The Star casinos, as shown in the 2017-2018 numbers posted by the group. High rollers turned over more than $61 billion in the past year, said The Star. As a result of the big-spenders' return, The Star's underlying profit climbed more than 20% in 2017-2018, to around $258 million. The numbers were published just before the weekend in Australia. This marks a welcome turn of trend for Australian and New Zealand casinos from the 2016-2017 statistics. But while VIPs returned from Asia to Australian casinos, the down side for The Star is that these high rollers had an unusual winning streak, resulting in a drop in statutory profits by 44%. Nevertheless, The Star noted that it has emerged as the country's biggest player in the VIP gambling market. Its Star Sydney casino is considered the leading VIP gaming resort in Australia, ahead of Crown Melbourne and The Star Gold Coast. The chairman of The Star Entertainment Group, John O'Neill said that the group had completed a further year delivering on its growth strategy. "Record normalized revenues and earnings for the company in FY2018 reflect ongoing operational improvements across the group and early performance benefits from new and upgraded assets at the Gold Coast and Sydney," he said. In the 2017 - 2018 period, The Star announced an expanded strategic partnership with Chow Tai Fook Enterprises and Far East Consortium, essentially enhancing the long-term value of The Star for shareholders. "With our partners CTF and FEC, we announced an enhanced Queen's Wharf Integrated Resort in Brisbane, with an approximately 25% increase in scope, which is expected to support a favorable capital resort," said O'Neill. "At the Gold Coast, we have made good progress on the first mixed-use joint venture tower and approvals for the masterplan for up to a further four towers across the property."